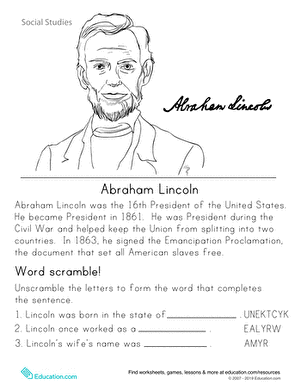 Teach your child all about our second president with this social studies worksheet. After reading about some of the things John Adams accomplished, kids test their knowledge with a fun unscrambling activity. Check out our other Historical Heroes worksheets Here. Might get a kick out of this coloring page, featuring groundbreaking astronaut John Glenn.